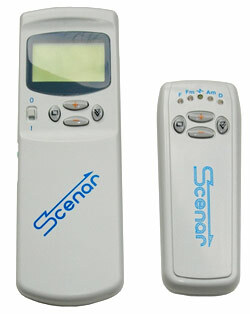 Health Point Physiotherapy - Healthy & Happy: What is SCENAR therapy? "As a full-time nurse in the Aged care facility and a mum to a toddler, I cannot afford to have a stiff and painful neck. The problems with my neck started a few years ago. I have tried heat packs, TENS machine, massages and usual physiotherapy – all of the therapies would provide only some relief and just for a short time. The worst happened after the birth of my son two years ago: I have returned from the hospital with the stiff neck, unable to move or lay down, with constant pain accelerated on movement. Exhausted and without sleep (I could only manage by sitting on the couch trying not to move) I have tried all the usual therapies for four days with no success, when my mum suggested to visit Margarita. I was crying from the pain all the way to her clinic feeling every bump on the road. I could not believe that after a 30 minute session of SCENAR therapy I felt better – the pain did not go away completely but the tension was almost gone and the pain level decreased significantly. 3 sessions later I felt like a new person. About 1 year ago A Current Affair did a feature on SCENAR therapy which some of you might have seen. http://www.youtube.com/watch?v=qQ-dGCQvXxM This unique device was developed in Russia initially for the rehabilitation of astronauts coming back from space. So what is the SCENAR? In a nutshell, the SCENAR helps your body to heal itself through locating problem areas and subsequently reactivating the body's self-regulatory mechanism which was destroyed by an accident or disease. Which conditions can SCENAR therapy help with?